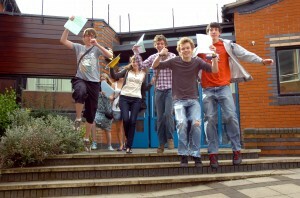 Beverley Grammar School has had its best ever results for GCSE! 100% of our boys achieved 5 A*-G passes or more. Once again with have a boy with the maximum 13 A*s (Geoffrey Ma) and many others with 10 or more A*/A grades. It is so heartening to see that every single boy has left this school or moved into the 6th Form with 5 or more passes at GCSE. That makes us very proud! We are absolutely delighted for the boys. This is outstanding!! This is coupled with outstanding A Level results. Once again 99% of our students passed and 48% of all the results were an A*/B grade. This is exceptional and puts us firmly at the top! It means that nearly all our students will be able to get to the university of their choice and our Oxbridge candidates will gain their places. Well done everyone! This confirms our place at the top in the county! At this time, when the news is full of riots and poorly behaved youth, it is a real testament to our boys that they have performed so well. They have achieved this great success through hard work and determination. Their attitude is excellent. Our boys are polite, friendly and hard working. They are a credit to themselves, their families and their school. We are immensely proud of them! It is extremely fulfilling for me to be retiring at a time when our A Level and GCSE results are at record levels. I would like to commend the boys and girls for their efforts which have given them such a good start in life. I would like to thank the staff, teaching and non-teaching for all their support for the students. Without that unstinting effort they could not have done so well. Education at Beverley Grammar School has never been better!